THE TOP Republican on the House Liquor Control Committee said yesterday that the State Police engaged in "a ridiculous use of enforcement manpower" last week when more than a dozen officers staged raids on three Philadelphia bars, suspected of selling beers not registered in Pennsylvania. "I don't know why they would use that many people to track down an issue like this that could have been handled with a routine inspection," said state Rep. John Taylor, whose legislative district includes one of the bars, the Memphis Taproom, in Port Richmond. "There are other important things those personnel could be doing," Taylor said. "Over the years we've had problems [in bars] with gun sales, prostitution, drug sales, after-hour operations, sales to minors - serious issues of concern to the community. I don't think this is one of them." State Rep. Bob Donatucci, the South Philadelphia Democrat who chairs the Liquor Control Committee, could not be reached for comment. The committee's executive director, Lynn Benka-Davies, said Donatucci wants more information about the raids before commenting. Acting on "a citizen complaint" from someone they refused to identify, agents from the Bureau of Liquor Code Enforcement (BLCE) simultaneously swooped down on three bars known for their extensive beer collections - the Port Richmond taproom, at 2331 East Cumberland St.; the Resurrection Ale House, at 2425 Grays Ferry Ave.; and Local 44, at 44th and Spruce streets, in West Philadelphia. All three are owned and run by the same couple, Leigh Maida and Brendan Hartranft. They said they had bought their beer legally from licensed Pennsylvania distributors, paying all the necessary taxes. But the State Police confiscated four kegs and more than 300 bottles of valuable brew, claiming that no one had registered the brands with the state Liquor Control Board. A 1987 state law requires beer manufacturers or their importers to pay a $25 registration fee for each product that they want to sell in Pennsylvania. The fee was later raised to $75. After the raids, Maida and Hartranft compared the list of confiscated brands with the 2,800-plus registered beers listed on the Liquor Control Board's Web site. They discovered that more than half the beer seized had been legally registered, but the cops weren't able to identify it because of their unfamiliarity with the products and their labels. Maida said yesterday that their attorney was trying to show the State Police their mistakes and recover as much of their beer as possible. She said she'd been heartened by public reaction to news of the raids. "A lot of beer drinkers are angry that this happened," Maida said. 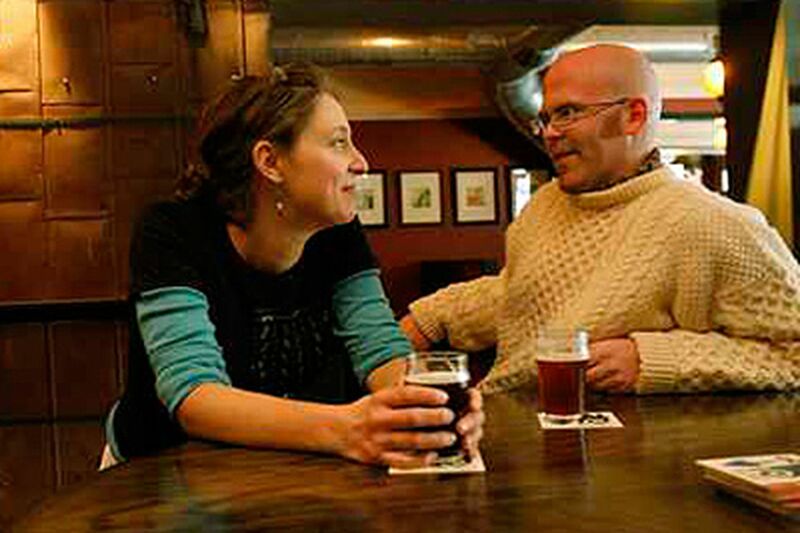 "They're coming into our business and showing their support by drinking better beer. It solidifies the beer community." Calls by the Daily News to top officials in the State Police unit were not returned.